Campeggio Les Courtilles du Lido si trova a Veneux-les-Sablons, Senna e Marna, è situato fiume/torrente. Questo campeggio dispone di piazzole delimitate, sia ombreggiate che e piazzole poco ombreggiate. È possibile affittare casemobili. Il campeggio dispone di un parco giochi. Ogni anno un ispettore visita il Campeggio Les Courtilles du Lido, controllando oltre 200 tra attrezzature e altri punti di interesse del campeggio. L'ispettore è un dipendente ACSI e non lavora per il campeggio. We came here to visit Fontainebleau but stayed a few days as it was so nice. Modernised and clean toilet block. Excellent pool. Good motorhome service point. Two Intermarches within walking distance. We used the train to visit Fontainebleau. The station is a ten minute walk from the site and trains are every half hour (and continue to Paris). The chateau is a one and a half kilometre walk down back streets and through a park (or a regular bus). We have just returned from this site and had a fabulous 2 week stay there in our motorhome. The site is well signposted from every direction and we didnt have any problems locating it. We were given a warm welcome by the owners and throughout the fortnight they could be seen working constantly cleaning, tidying and making improvements to the site. We chose the site due to its proximity to the railway station and the frequency of the trains to Paris. (we bought a Navigo decouverte pass for €40 which gave us unlimited, any time travel for a week). We spent a week travelling to Paris and seeing the sights and then explored the Fontainbleu area the second week. The site is clean, quiet and ideal for families and those who want to explore the area on foot or cycling through the many paths and tracks that are 'on the doorstep'. The toilet block was clean and there was plenty of hot water in the showers. There are plenty of sinks to wash dishes, although the water was only tepid. The washing machine and clothes dryer were operated using tokens that can be bought at the reception. The rate per night was exceptionally good and we will definitely return. A pleasant wooded campsite with friendly staff close to Fontainebleau and the forest. Good pool, walks from the door but quiet difficult access through a residential area. Beautiful and quite camp side everything was nice. Instead of spending one week at the camp, we have come back for another 8 days. Place to stay every time we go to Paris. Volete prenotare il Campeggio Les Courtilles du Lido o oppure saperne di più? Potete farlo usando i seguenti dati. Da Fontainebleau N6 in direzione Sens. Uscita Veneux-les-Sablons. A sinistra al semaforo dopo il ponte e seguire i cartelli. 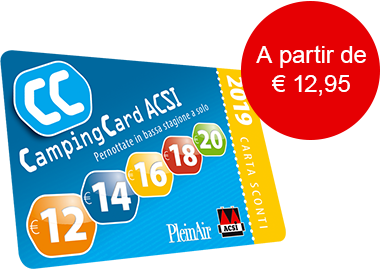 ACSI Eurocampings invia la tua richiesta di informazioni al "Campeggio Les Courtilles du Lido".